Being a fan of numismatic history, I can find myself lost in reference books for hour after hour learning new facts, but I particularly enjoy when I find a book that goes beyond just facts and figures and tells me the stories and the history of rare coins and how they came to be famous. This past year, Whitman released a Golden Anniversary Edition of a book written by Q. David Bowers that I had never seen before. 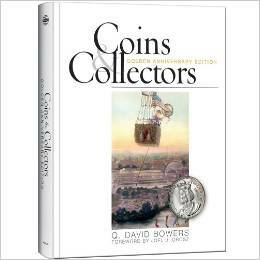 That it took 50 years to publish the second edition of this book is a bit puzzling, as I would think that it would be a well-established hallmark work of coin collecting. Reknowned by collectors for years because of its stories that bring the history of numismatics to life. Coin & Collectors highlights events and significant people in American numismatic history. From the very beginnings of the United States Mint and the minting of the 1792 Half Disme, to the roll collecting craze of the 1950s and the subsequent hoarding of the 1950-D Five Cent piece, from the story of Carson City Morgan Dollars to that of King Farouk and his 1933 Double Eagle, Coins & Collectors helps you to understand exactly how people have influenced history and how that history has changed numismatics. Covered within its almost 400 pages are tales of the coins and the people who have shaped not only our hobby, but the history of money in the United States. Did you know that at one (and only one) time in our history, the US had no national debt at all? And that the time immediately following is known as the “Hard Times”? President Andrew Jackson not only abhorred debt, but he was obsessed with eliminating it, and because of this, we have an entire era of interesting tokens to collect. The legends and mottoes used on Hard Times tokens tell the story of public sentiment in their own words, and when the background story is told, the events make more sense, and to me, seem more plausible. It is this kind of understanding that makes history come to life and through this deeper understanding, the lessons of history become useful to future generations. Major hoards, important collections, and the people that assembled them are also highlighted. 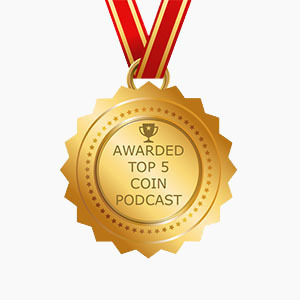 From Harry Bass to Emory Mae Holden Norweb and Louis Eliasberg, Coins & Collectors teaches why these names are legends in our hobby and through this we can gain real appreciation of their grand accomplishments. Having not seen an original First edition of this book, I can only assume that Bowers has updated some of these stories in the new version to update us on significant changes as the intervening years have passed and bring the history up to date. His easy to read story telling writing style makes for an enjoyable book that will provide hours of reading pleasure. Illustrations are plentiful and well suited to the articles. Bowers’ topics stand well on their own and the chapters are so well-contained, that it can be read like a book of short stories if you prefer. You needn’t rely on context from chapter to chapter, you can “sip and skip” through the book if you choose to browse as subjects suit your fancy. A particularly strong point in my opinion is the wide variety of subjects addressed in this book. The Civil War paper money of Montgomery, Alabama, the National Numismatic Collection at the Smithsonian Institution, Feuchtwanger Cents, tokens, medals and even the story of a Silver Dollar that sold for $10 Million. Bowers discusses the changes in technology utilized by the US Mint and the digital artists of today. He shares thoughts on the latest Quarter Dollars from his home state of New Hampshire, their designs, and the people responsible for creating them. Coins & Collectors is a book that you can grab when you only have a few minutes to spare, or an entire afternoon to study. I have enjoyed reading the stories and as with all Bowers books, have expanded my knowledge by doing so. As I read this book, I often wondered why I had never seen a copy of edition one, and why it took nearly 50 years for an update. This book is not only one that I endorse, but a book that ranks as one of my favorites in the numismatic realm. I would recommend this book to readers of all ages who want to learn about our hobby and the stories of the people who have shaped it.